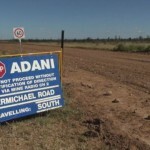 It is one of two outstanding management plans requiring the Queensland Government’s approval for Carmichael’s construction and mining to commence, according to Adani. The last remaining management plan Adani still needs to secure concerns a local and protected bird species in the region, the black-throated finch. However, Environment Minister Price said nine further environmental plans are yet to be finalised for Adani to commence construction. 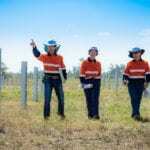 The Federal and Queensland Governments have only finalised or approved 16 of 25 environmental plans to date. “This project has been subject to the most rigorous approval process of any mining project in Australia,” Price said. Geoscience and CSIRO identified areas of improvement including the Doongmabulla Springs for a better protection of the surrounding environment, an advice which Adani has “accepted in full”, according to Price. Adani Mining chief executive Lucas Dow praised the federal department’s decision to approve the GDEMP while criticising the Queensland Government for its perceived indecision over the approvals process. “[The] Queensland Government has continued to shift the goal posts when it comes to finalising the outstanding environmental management plans for the mine and is standing in the way of thousands of jobs for Queenslanders,” Dow said. The Queensland Resources Council (QRC) meanwhile called the environmental nod a milestone for the project’s lengthy approval process. “The project has been under the scrutiny of government agencies in Brisbane and Canberra under both sides of politics over the last nine years,” the QRC said in a statement. Adani’s project has been controversial among environmentalists such as the Stop Adani movement, Lock the Gate and Greenpeace Australia, which voiced its objection to the approval on Tuesday April 9 on Twitter. “While Australia suffers through drought, the Coalition have just approved a plan to hand billions of litres of precious groundwater to the reckless Adani coal project,” Greenpeace wrote.